Pelican 1527 Convertible Travel Bag designed to fit inside Pelican 1520 Case. Pelican Travel bag 1527 converts Pelican 1520 Series Case instantly from hard case to soft bag. Travel Convertible Bag 1527 from Pelican made of heavy-duty waterproof padded Ballistic Nylon with multiple front and side pockets. 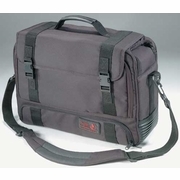 Pelican 1527 Travel Convertible Case offers all nylon zippers and clips.